We love it when the whole family is involved, mother and two daughters spark off each other and Barbara works through the generations of treasures. One existing commission of Cath’s is further amended, a bold raw Amber necklace for Ruth. 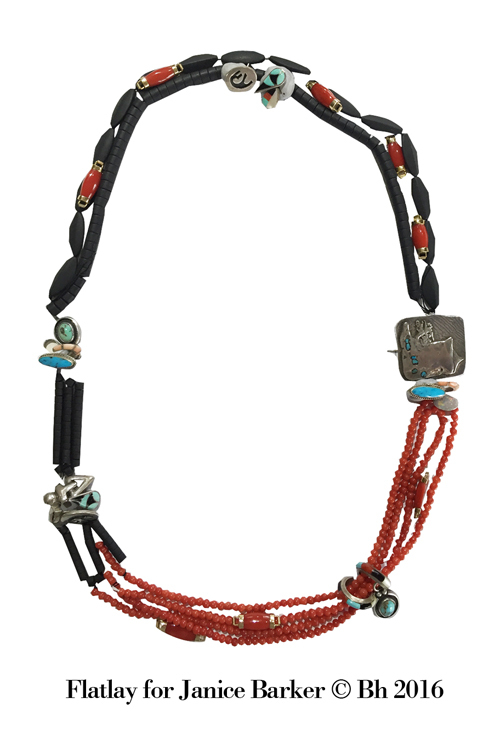 Two versions of a great recycled necklace with Coral and Turquoise has been designed for Janice. 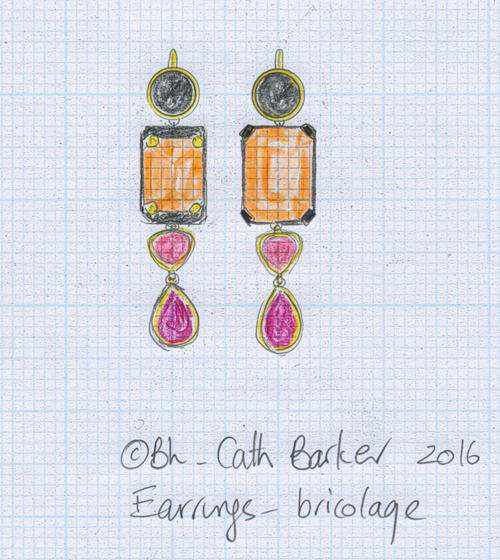 A gem ‘bricolage’ set of earrings designed for Cath. So many clients who follow us, earnestly watch what we do for others and this leads to small requests – “Barbara, you know that extended block bail you did for ( X ), would that work for this baroque Pearl I love but have never been able to wear”? Here is the design worked up with material scanned at same size – no names at this stage, oxidised Silver and 18ct yellow Gold with bayonet clasp. 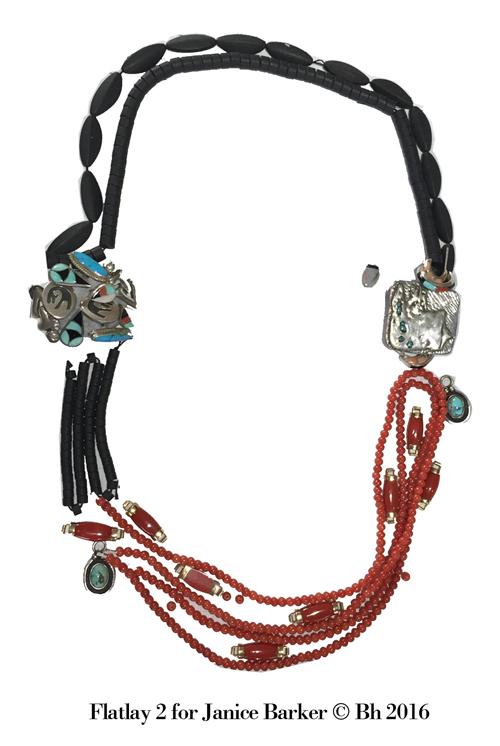 Recycling these rare and sentimental elements from more than one lifetime, is becoming a speciality of Barbara’s. 22mm x 15mm oval has low domed profile with chisel texture and is set with x5 round brilliant cut diamonds x7 faceted sapphires x4 round brilliant cut rubies, all supplied. 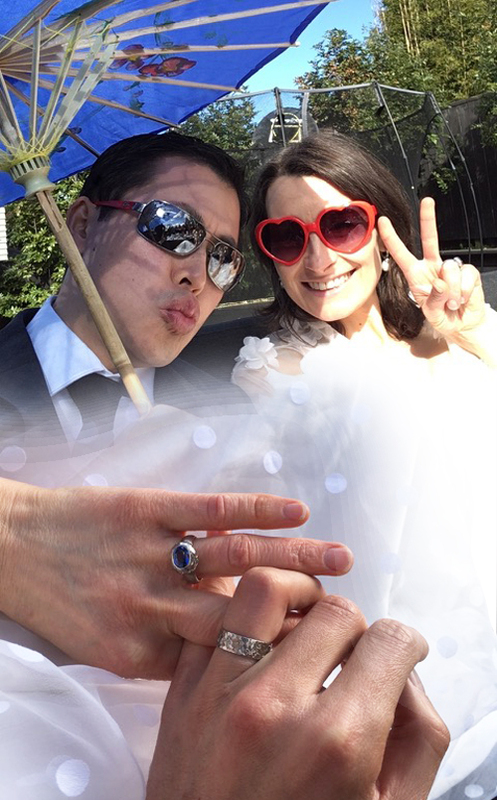 Barbara’s low rounded profile smooth band 5mm wide at top tapering to 3.5mm at back. Size Q in 18ct palladium white gold. With two senior executives both called John, the lady on the PA system renamed them OJ (old John) and YJ (young John) – above shot of mal E and OJ at the fabricators – more to come . . .